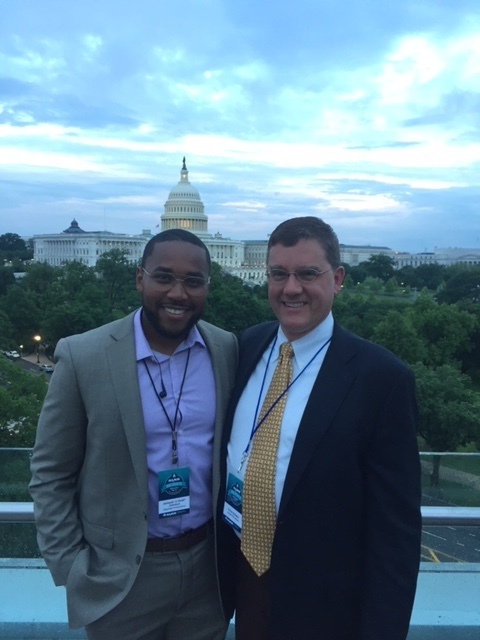 Jordan Kitt’s Music goes to DC with NAMM to lobby for music education in our schools! Jordan Kitt’s Music is proud to be a part of the 2018 National Association of Music Merchants (NAMM) Music Education Advocacy D.C. fly-in. Each spring, Jordan Kitt’s Music is joined in its home town by other NAMM members to serve as advocates for the right of every child to learn and grow with music by visiting with their elected representatives on Capitol Hill. 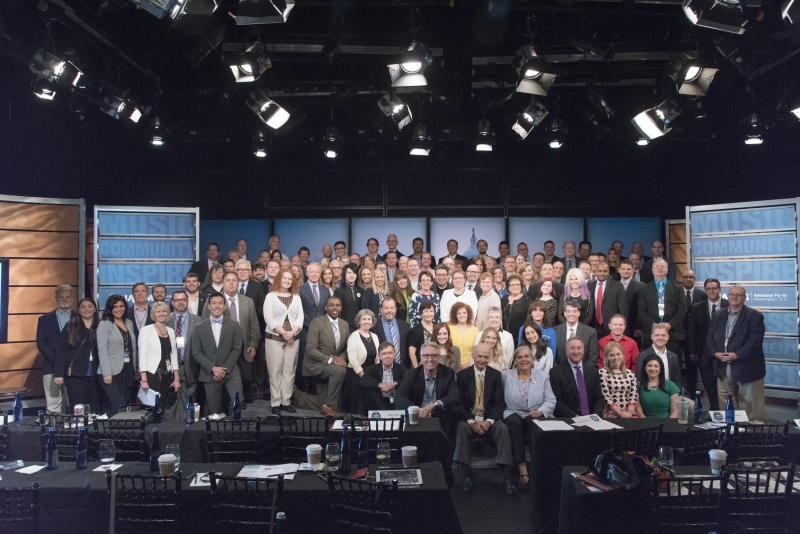 NAMM Fly-In participants receive intensive training with policy experts to learn about the policies and priorities of the current administration. With guidance from veteran delegates and seasoned professionals, NAMM members prepare research-based talking points for visits with their Members of Congress. 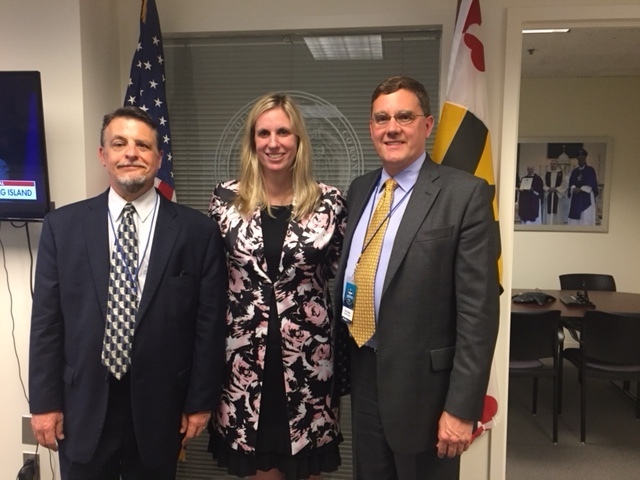 Tiffany Waddell, Director of Federal Relations for Maryland Governor Larry Hogan (center) with Chris Syllaba, President, Jordan Kitt’s Music (right) and Joe Pritchard of Pritchard Music (left). These visits are not just a time to make demands of our legislature, however. It is also when we encourage Senators and Representatives to celebrate the school districts and schools that receive national recognition through The NAMM Foundation’s Best Communities for Music Education SupportMusic Merit Awards within their states and congressional districts. 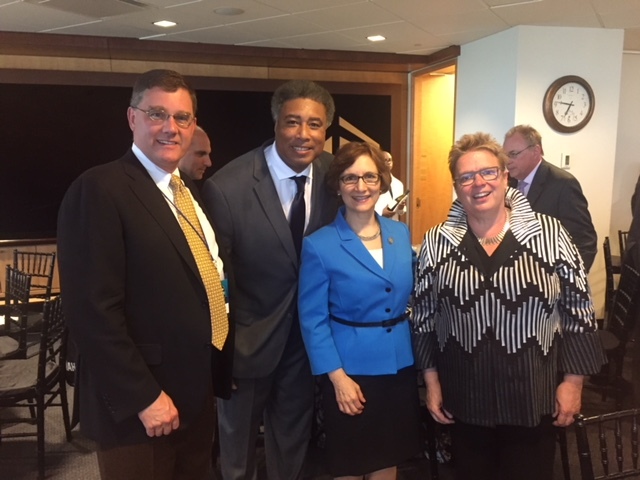 Chris Syllaba of Jordan Kitt’s, baseball legend and musician Bernie Williams, U.S. Representative Suzanne Bonamici, and NAMM Chair Robyn Walenta at the Tuesday evening NAMM dinner. The event included a Day of Service, where NAMM members commit a day getting involved in local music education, meetings on Capital Hill, and a number of NAMM hosted special events designed to maximize the impact of the event. Previous Previous post: Live Mother’s Day Celebration Webcast with Jim Brickman!